Since we launched Motor City Muckraker in May 2012, we have exposed numerous political scandals, dangerous school conditions, neglected neighborhoods, chronically broken fire hydrants, civil rights abuses and the far-reaching impact of chronic poverty. The mainstream media has ignored most of those issues. Editor and Publisher Steve Neavling, a former Detroit Free Press reporter, worked up to 80 hours a week – with no compensation – because of his sincere passion to provide meaningful, insightful news that often is ignored or glossed over by the establishment media. 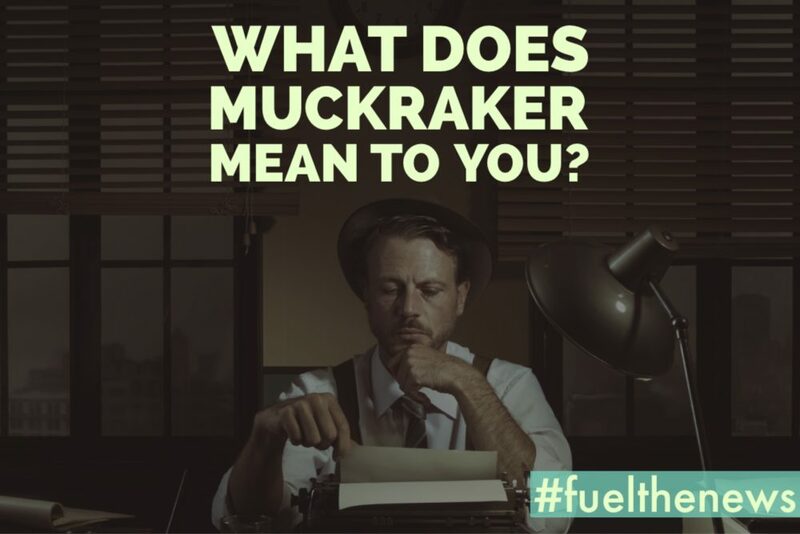 Now we’re asking for your help to raise $25,000 so Motor City Muckraker can become stronger and operate long into the future. We plan to hire freelance reporters and videographers, launch a podcast and provide more in-depth news and investigations. The fundraiser ends on Sunday, July 10. So far we have raised more than $15,000. The time for independent watchdog journalism has never been more important. As newspapers and television media continue to shed reporters, many of Detroit’s most critical issues aren’t getting enough attention – unsafe and underfunded schools, lack of jobs, the nation’s highest infant mortality rate, massive water shutoffs, chronic poverty and a widening racial divide. Motor City Muckraker doesn’t just report on bad news. We also focus on architecture, the arts, revitalization and the unsung heroes of Detroit. In addition to the fundraiser, we are seeking more revenue through journalism grants and sponsorships. We intend to use the fundraising money to keep Muckraker operating for years to come. Help us fuel the news! Not in Michigan. Hell, not even in the US. But you do good work for the good of the people so take my US-converted $$ and here’s to the hopeful and inspiring future of The Muck. Steve, If money was not an issue, could you see MCM even becoming Print News? I am a Michigan native who now lives in Montana. I’m currently in Washington, D.C., and I check out Motor City Muckraker often. Greatly appreciate all of the coverage, but the Muckraker was truly transformative with its dedicated, ongoing coverage of Detroit’s Fire Department issues and the attendant public safety concerns. I chipped in with a donation and hope others do too. Investigative journalism, and non-corporate journalism, is more important than ever, and just generally at a premium these days. Keep up the great work Steve and the Muckraker team! How bout a bottle drive or a Vegas tent ? I’m going to chip in a bit more. I don’t even live in Detroit but am a lifelong resident of Michigan and have traveled to Detroit many, many times. I couldn’t believe my eyes and ears reading about the fire hydrant mess. The higher-ups probably don’t like Steve because he tells the truth. Independent journalism is about all I read anymore. How you don’t have $25,000 already is beyond me. You might want to look into a Patreon site as well. Exactly what I was going to say. I bet a BUNCH of folks – local & otherwise – would pitch in a couple of bucks a month to keep the site going. Chipped in but with two elderly parents and a disabled better half, there’s not much in my coffers these days. I really appreciate it. Even the smallest amounts are very helpful and will allow us to continue operating. Thank you! Thank you, you’re the best. Please keep up the work, Detroit and Michigan need you.